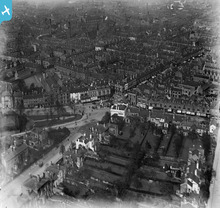 About the group For anyone interested in the history of the cars that appeared in Birmingham between 1894 and 1939. 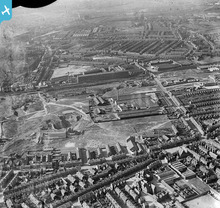 This photo, with the barely recognisable Five ways in the foreground also includes Ryland Street. 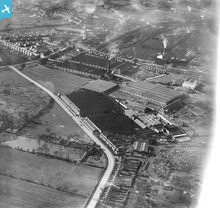 The home of both the Garrard-Blumfield and Armstrong cars. 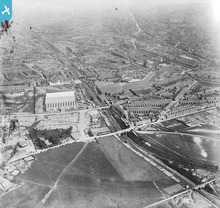 A view across Saltley toward Adderley Park and the Wolseley/Morris Commercial works. 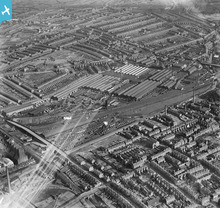 An overview of the Wrigley/Morris Commercial car works. 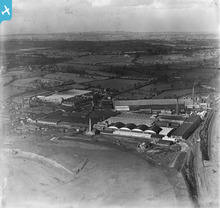 The EG Wrigley/Morris Commercial car works. 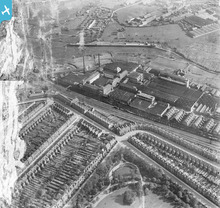 The EG Wrigley works in Foundry Lane, Smethwick. 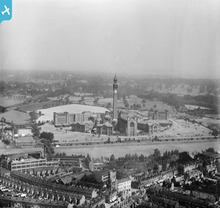 By 1924 they were occupied by Morris Commercial. 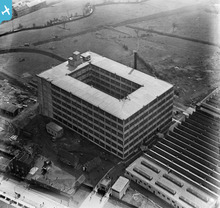 The BSA, and later Singer, car works in Small Heath under construction. 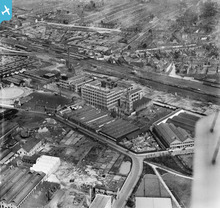 A closer, and clearer, view of the Ariel car factory. 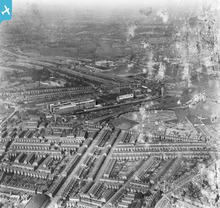 The Ariel car works and the site of the later Patrick Motors works both appear in this photograph. 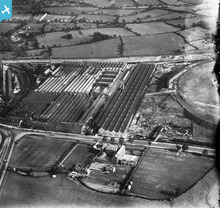 In this photo the works of JA Phillips who built the 'Rolfe' cyclecar, Crescent Motors, who built the 'Crescent' cyclecar and EG Wrigley who built the'Wrigley' cyclecar all appear. 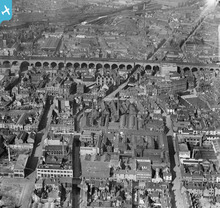 HH Mulliner had his coachbuilding workshops in gas Street and his showrooms in the bottom right of this photograph. 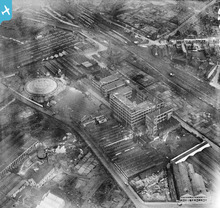 The Calthorpe and Wolseley works appear behind the Post Office Stores in Fordrough Lane. This photo encompasses the works of Ashton-Evans, VAL, Rollo, British Peerless, Lanchester, Revolette, Anglo-French, Calthorpe and Hands. 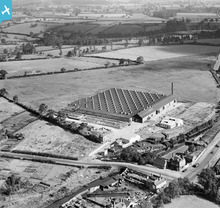 The works built to produce the Stellite car just before the First World War and later taken over by Wolseley. The Moss Gear Company were important suppliers of gearboxes to a long list of car manufacturers. 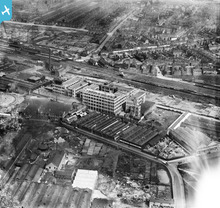 The Wolseley (later Morris Commercial) car works and, in the background on the other side of the railway, the Calthorpe car works and H H Mulliners coachbuilding works. 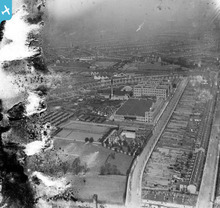 The BSA works in Small Heath were taken over by Singer to produce their Junior, Senior, Bantam and Roadster cars from 1927. 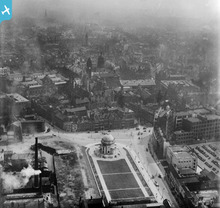 A remarkable photograph for the number of car factories. 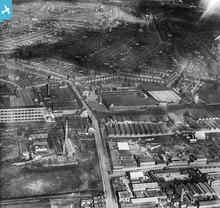 The main Lanchester car works were just out of shot bottom left. 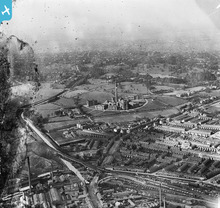 The BSA Armoury Road works were the site of car production from 1907. 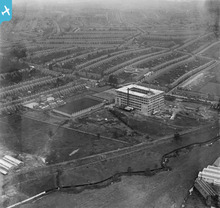 This picture includes both the Adderley Park works owned by Wolseley and then Morris Commercial and the Cherrywood Road works of the Calthorpe Motor Company. 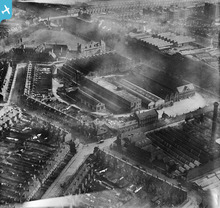 The Adderley Park Works produced the Wolseley car and, later, the Morris Commercial and Brocklebank cars.